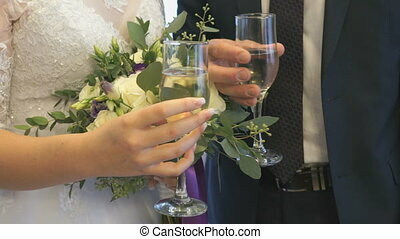 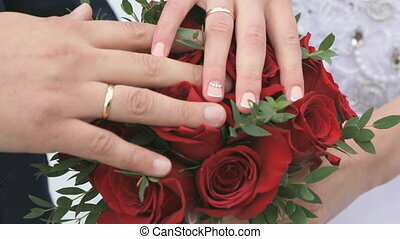 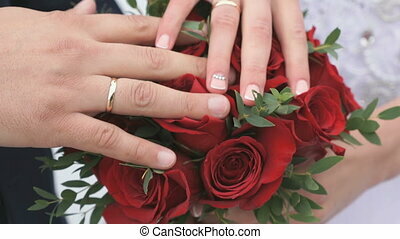 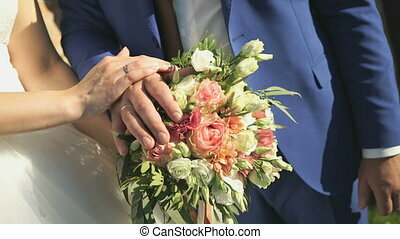 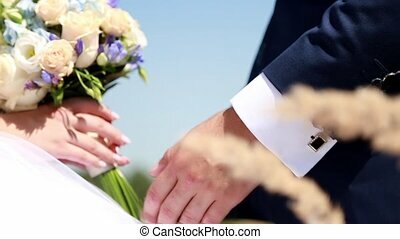 Close-up of hands of bride with bouquet and groom. 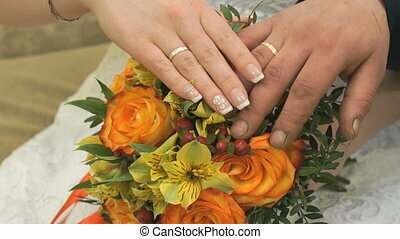 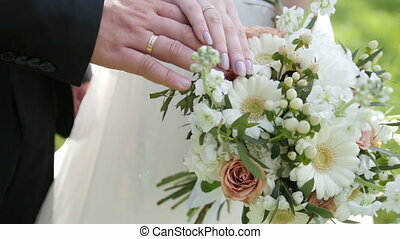 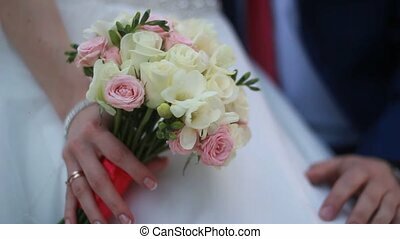 Close-up of hands of bride holding bouquet from yellow roses and groom with dirt nails indoors. 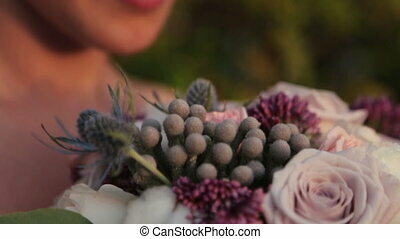 Beautiful brown-eyed bride with bouquet of purple flowers close up. 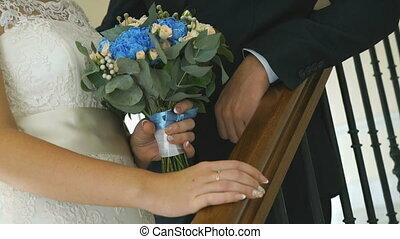 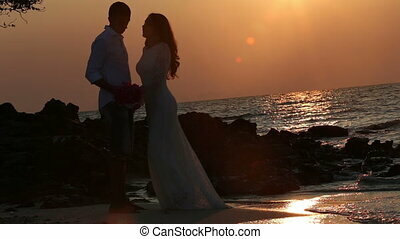 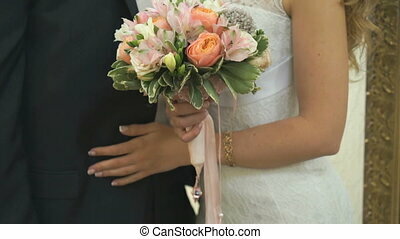 Beautiful bride with wedding bouquet in hands close up. 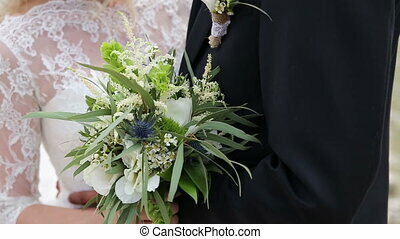 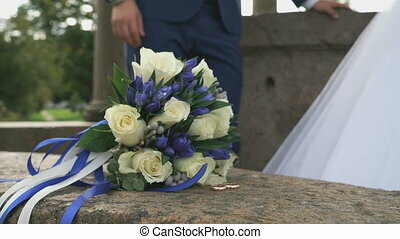 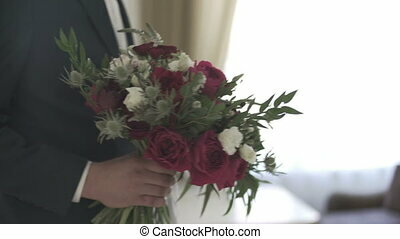 Beautiful Wedding Bouquet in Hands of Groom. 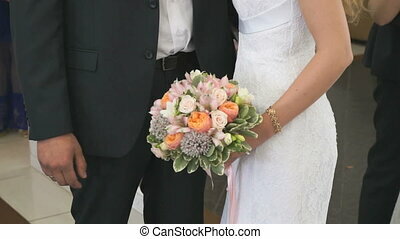 Beautiful wedding bouquet in hands of bride. 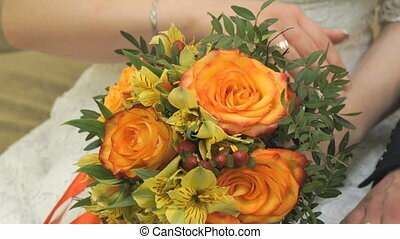 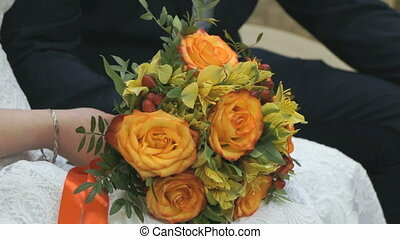 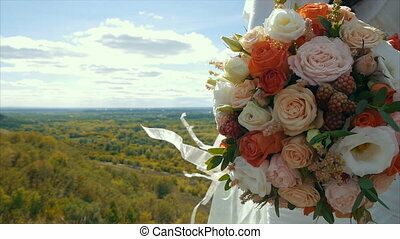 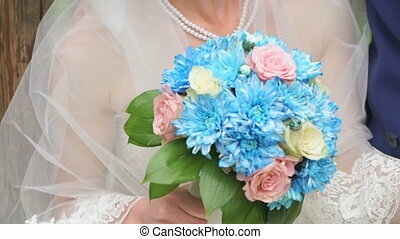 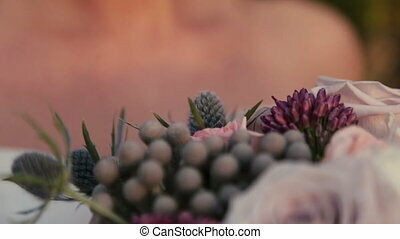 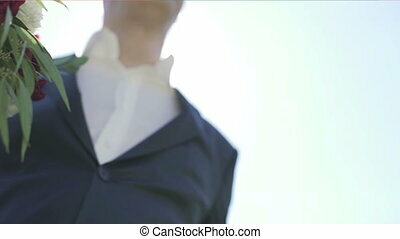 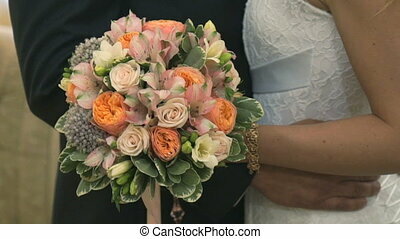 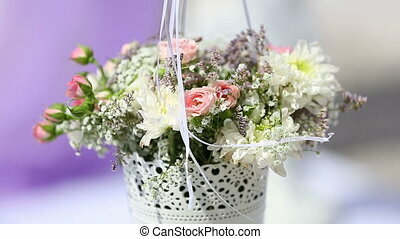 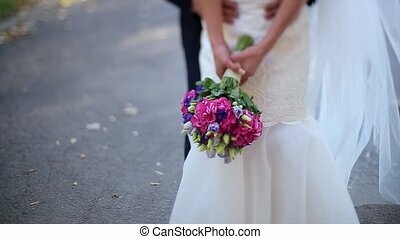 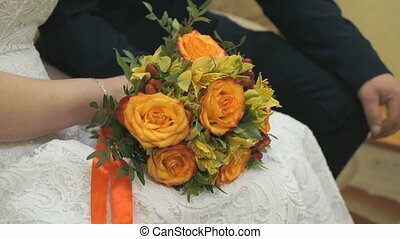 Close Up of Colorful Wedding Bouquet at Bride's Hands and Groom on Background.